Registration opens in February 2019! CAUBO 2019 will celebrate and explore higher education innovation. 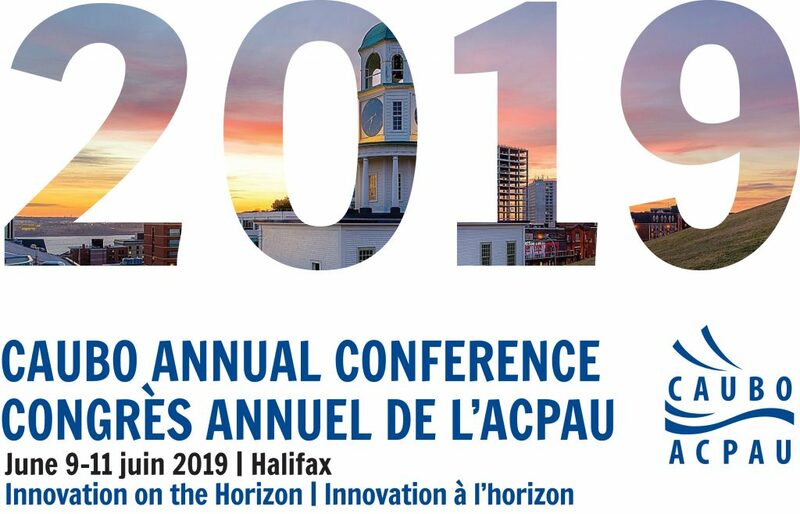 In addition to formal programming at the newly built Halifax Convention Centre, you’ll get many opportunities to network and share best practices with your colleagues from institutions across Canada, connect with sponsors, and take in some of the cities most recognizable landmarks. Halifax is a vibrant seaport city famous for its warm and welcoming Maritime hospitality. Delegates can take in some of the plentiful Halifax attractions from breathtaking views, amazing beaches, historic museums, and much more. Known for its manicured parks and gardens nestled between heritage buildings, the city has been gaining a reputation for its arts and culinary scene, and has expanded its craft-brew culture. Halifax’s longevity ensures something of appeal for everyone. CAUBO has room blocks at four host hotels all within walking distance to the convention centre. After last year’s record-breaking year, we encourage you to reserve early to avoid disappointment. When planning your professional development schedule, be sure to put CAUBO 2019 on your list! Visit the CAUBO 2019 website for the latest updates as they become available. Next Next post: Apply for the Pat Hibbitts Professional Development Bursary Today!